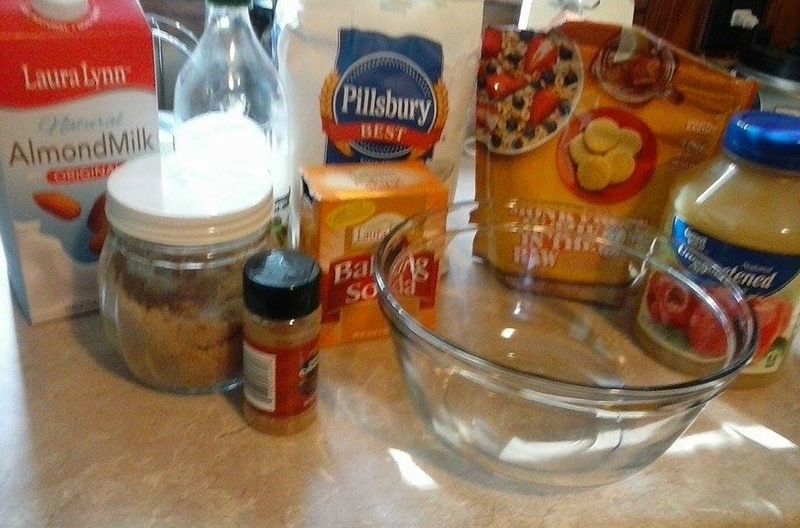 Mix the ingredients in a large bowl until thoroughly combined. Grease two bread pans and split the mixture between the two pans. Bake at 350 for between 45 mins and 1 hour and 15 mins. Mine took over an hour. To test it, stick a tooth pick in the middle of the bread. You know its ready when the tooth pick comes out clean (without batter stuck to it). You should be able to get 10 servings (slices) per pan, which means the whole recipe makes 20 servings. 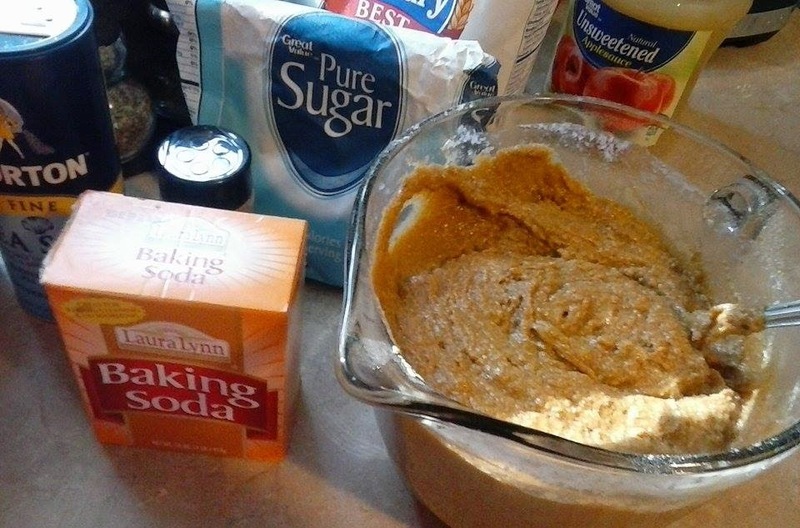 My version was WAY healthier than your standard pumpkin bread, but if you wanted to, you could easily use a cup of applesauce and no oil and cut 500 calories out of the recipe, and using Monk Fruit in the Raw instead of white sugar would eliminate another 360 calories, plus 96 grams of sugar. For taste, I HIGHLY recommend leaving the brown sugar as is. I really like this recipe. Its pretty low calorie as far as bread goes, and pumpkin puree is a good source of fiber and vitamin A.